Congrats! You’ve either just joined the coolest fam in the game or you’re about to. From trendy new lippies to makeup brushes, to eyeshadow palettes and more, we’ve got all of your monthly beauty needs covered under one roof! But, with all of this glam, we’re sure you have a lot of questions and don’t know where to begin. Don’t worry, we’re here to smooth everything out for ya! How do we create our collections? When and where are new collections announced? What happens if you run out of a color or want to purchase a previous collection? How to skip months, trade collections, change your billing date, and customize your subscription! How do we prepare your packages? Member perks and how to earn Reward points! Beauty shouldn’t be stressful, so we’re here to blend it out for you! We inspire beauty enthusiasts by creating and curating monthly products that work for them. Our team of diverse beauty experts is constantly curating and perfecting quality, cruelty-free products for a stress-free, empowered you. Founded in 2016 in the City of Angels, we’re now a global team with a predominately female leadership team. From humble beginnings, our #LiveGlamFam has grown significantly in 2 short years with 50+ team members and 10MM+ products shipped, and our lipstick hasn’t even finished drying yet! 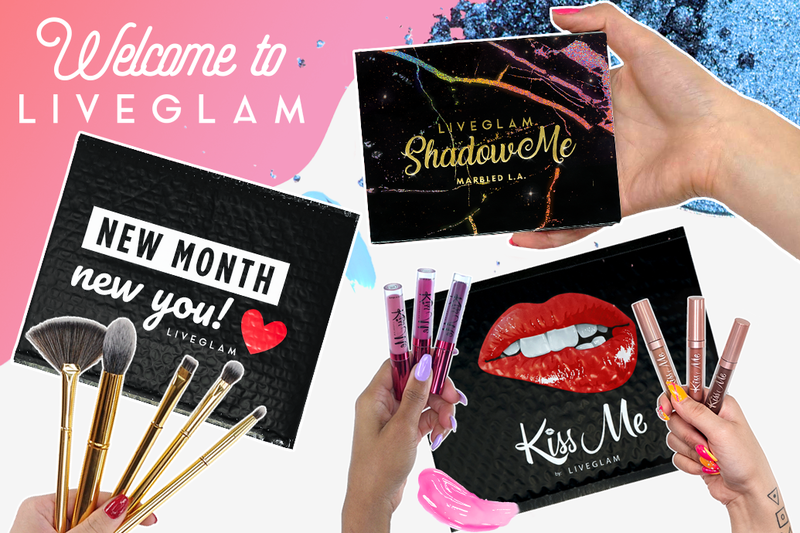 Under LiveGlam, we currently have 3 different makeup subscription clubs – MorpheMe, KissMe, and ShadowMe. Instead of subscribing to a mixed bag of products, you get to choose which subscription(s) you want to receive instead! We also always send you full-sized products. No sample sizes here! It’s the easiest and most effortless way to build your makeup collection. 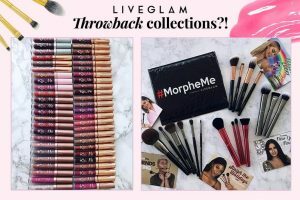 If you’re looking to upgrade your makeup collection and looks with quality brushes in a hurry, we have our makeup brush subscription box, MorpheMe. You’ll get 3-8 new certified Morphe brushes delivered straight to your door every month. If you love liquid lipstick, join the ce-lip-bration and get 3 new irresistible shades from our monthly lipstick subscription box, KissMe! Our formula is flexible, long-lasting, and smells absolutely delicious! See what our customers have to say about our lippies here. If you’re obsessed with eyeshadow palettes, let your eyes do all the talking and stay shades ahead with our bi-monthly eyeshadow subscription box, ShadowMe! You’ll get a palette with 9-10 brand new shades every other month. We’ve spent over a year perfecting our buttery, pigmented formulas that not only swatch well, but apply beautifully on the eyes too! All of our clubs are only $19.99 plus free shipping in the US, and flat rate shipping for all international customers. You also don’t have to stick to just 1 club- join them all! 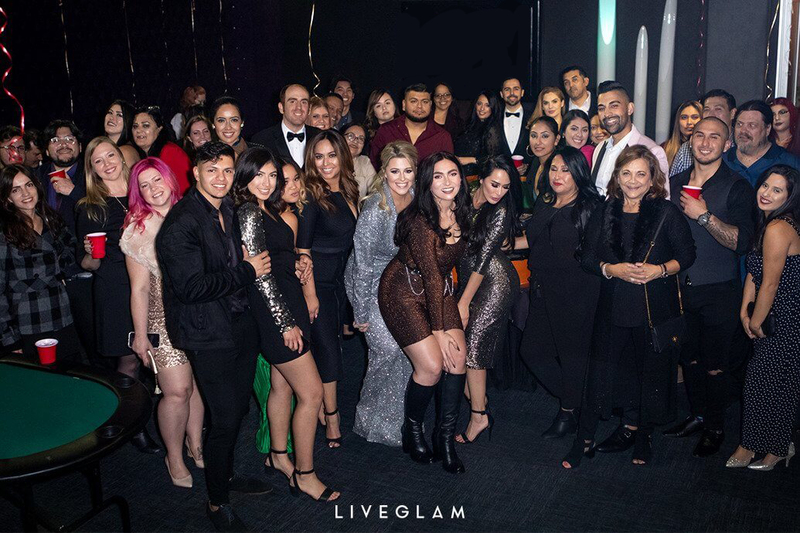 Once you join our #LiveGlamFam, you’ll become a Glammer. Our Glammers are trendsetters and go-getters, and we believe they deserve beauty products that can keep up. We ship worldwide, so our Glam Fam is slaying all around the world! Now let’s really dive into what goes down at our L.A. headquarters! 2. How do we create our collections? Each and every month we come up with a new theme for all of our collections. The inspiration for these themes come from various factors, such as the season, our favorite trends, and you! The root of our inspiration is always our Glammers. Your feedback is super valuable, as we like to keep in mind what would look great on all of you and what you want to see next! Choosing shades is fun and all, but it certainly takes a lot of work! Our Creative Director, Laura, takes the reigns with this one (you may know her on Instagram as @laurag_143). When coming up with the colors for our monthly collections, a lot of thought goes into it. She always keeps in mind the seasons and holidays and pays close attention to past trends, celebrity favs, and the beauty bizz in general to predict what she thinks will be the next hottest shades and formulas! Laura also works closely with our manufacturer every single month to ensure everything is perfect. She’ll even go into the lab and wear a hairnet to get the job done, even though it doesn’t go with her outfit 😉 Being the perfectionist that she is, Laura developed a formula unlike any other products out there. Not only are our lippies long-lasting, flexible, highly pigmented and always on trend, but they’re also cruelty-free, paraben-free, and vegan, which led us to become a leaping-bunny certified brand! It doesn’t stop there. Our cruelty-free eyeshadow palettes are also packed with pigmentation, gorgeous shades, and endless looks waiting to be created by you! 3. When and where are new collections announced? After we’ve narrowed down a theme and swatched all of our lippies and shadows until they’ve hit pan, it’s time to move on to the fun part! On every 23rd of the month, our new collections for all of our makeup subscription boxes debut. We always announce these collections at 9 am PST on our Beauty Blog, Instagram, Facebook, YouTube, Snapchat, and emails so you can’t miss it! As a member, you can also view the new collections on your Dashboard. Here’s a glimpse of what kind of products you’ll be getting! With every collection, we also release makeup tutorial videos on our YouTube channel and monthly members page, as well as a brush and lippie breakdown on our Blog to show how to use the brushes and lippies for the month. We also always provide a fun lip swatch video on our Blog and Instagram to show off our KissMe Collection shades! Our goal is to be a guide for you (aka fairy glam-mothers), and show you exactly how to put our products to good use! 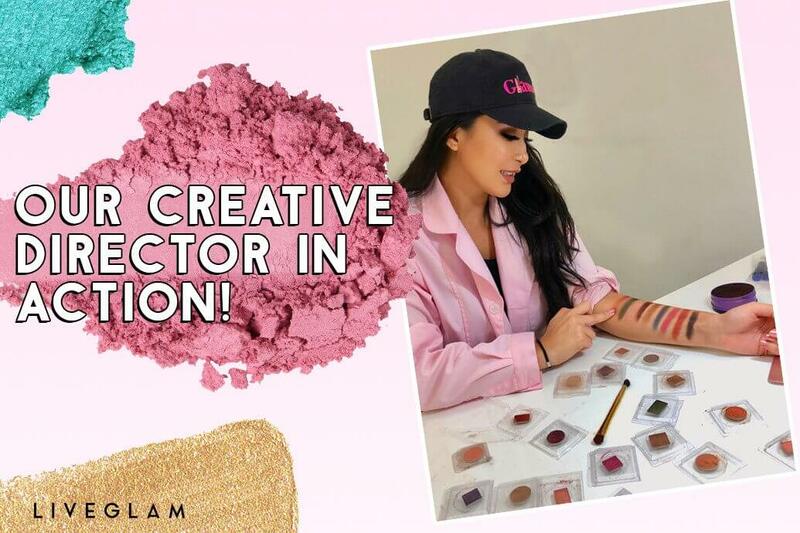 On top of this, we go on Facebook Live at least once a week to interact with our Glam Fam, give beauty tutorials using our products, and do giveaways! These lives are not only a great way for you to get to know our in-house team, but also for us to get to know you and what products you want to see next. To tune in, just head to our Facebook page and hit that like button so you never miss our lives and giveaways! 4. What happens if you run out of a color or want to purchase a previous collection? 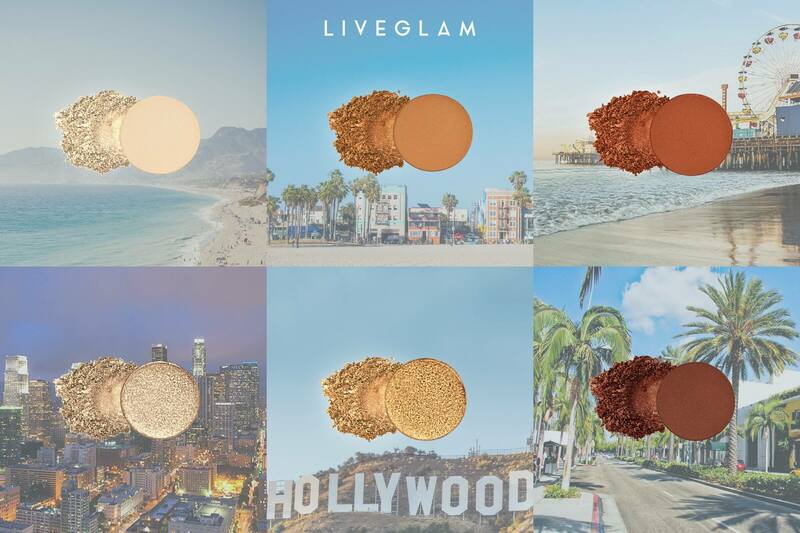 Did you know we have a LiveGlam Shop page? That’s right! If you ever run out of your fav KissMe shades, missed a previous collection, want to grab our Marbled L.A. eyeshadow palette, or simply just wanna treat yo self to more lippies, check out our Shop! Our goal is always to give you the flexibility you want with the ease of a subscription. We restock products often, so if what you want is sold out or not available yet, you can choose to be notified when products are back in stock via email! Our Shop is available for both members and non-members, but members get a special rate as well as access to special promotions and collabs! 5. How to skip months, trade collections, change your billing date, and customize your subscription! Something super special about our Clubs (besides our glam-azing formulas) is how you’re able to customize your subscription! We give our members a lot of flexibility so that they can get products exactly how they want them. These features include being able to trade an individual product from any Club or the whole collection, skipping months entirely, changing your billing date, and more. You can access all of these options through the Subscriptions tab on your Dashboard! To dive more into each feature, check out the links below! 6. How do we prepare your packages? We can’t give our fulfillment team enough credit for all that they do, but we’ll try our very best! All of our products are wrapped up in a pretty package and sent out to you by our own team in LA. They work around the clock to get your goodies to you in the blink of a winged eye! Our efficient and dedicated team allows us to ship our products with a 2-business day turnaround (in most cases) using the best expedited shipping services. Please note that Holidays and major promotions may cause slight delays, but we’ll still get you slaying in no time! 7. Member perks and how to earn Reward points! Other member perks include free shipping in the U.S., discounts on our Shop page, and first access to products and exclusive promotions. 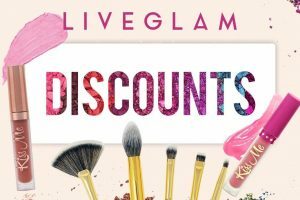 We also hold a monthly giveaway through Instagram where 10 #LiveGlamFam members win free makeup by simply posting a picture of their lippies or brushes for that month and tagging us! We’re constantly working on implementing even more perks and features for you Glammers, so it won’t stop here! You can always find out what’s new by checking out our Blog (and we’ll shoot you an email of course). To get even more Reward points, you can start by rating each collection you get from all of the Clubs you’re subscribed to. This is how we mainly get member input for our future collections, so providing feedback is super important and helpful to us! 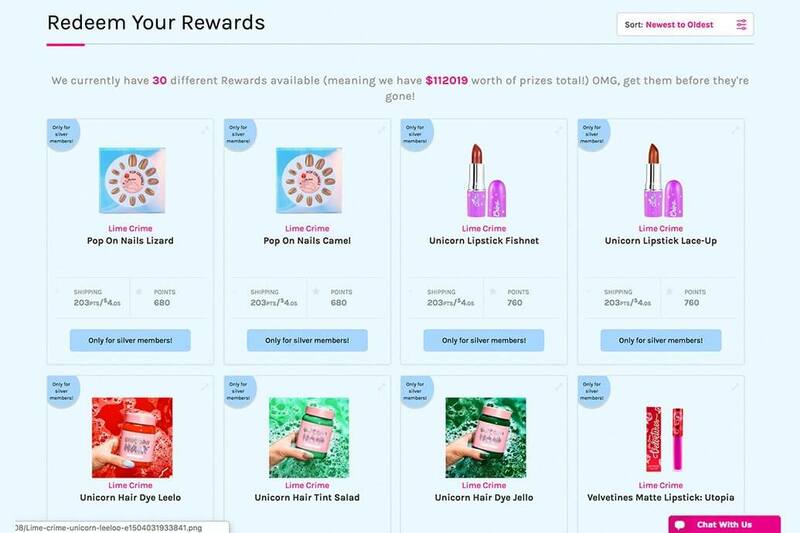 By simply participating in the surveys you’ll receive in your email, and rating collections through your Dashboard, you can quickly build up points and get an extra dose of glam every month. If you ever run into any problems with your orders, our top-notch Customer Happiness team is always available to blend away any issues through any of our social media accounts (FB, IG, Beauty Blog), email ([email protected]), or live chat on our website! Our team typically responds within 2 hours or less, has a 98% satisfaction rate, and always has a glam-azing attitude. Phew! 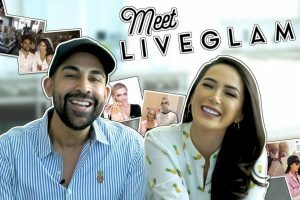 We know that was a lot of info, but hopefully, we’ve blended out all of your questions about LiveGlam and got you even more excited to be a part of this family! If we missed any spots, feel free to reach out to our Customer Happiness team. Comment down below to say hi to your new Glam Fam! CelinaMarie: How can I order a specific brush? Bebe60: Just order my first “kiss me “ lippies can’t wait to try them on me!! !